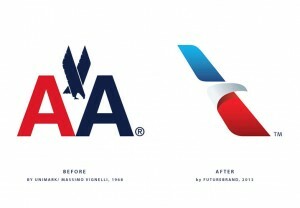 On January 17, American Airlines unveiled its redesigned logo. This is the corporation’s first rebrand in over 40 years. The original logo was created by designer Massimo Vignelli. Vignelli’s designs include high profile clients like IBM and Bloomingdale’s. When I see a major rebrand like this takes place, it has been my experience that many designers and small business owners jump on the bandwagon- or the rebrandwagon, if you will. Haha. Puns aside, my concern here is that when we rush into a rebrand, the result is often a poorly executed brand mark, a stressed designer, and an unhappy audience. With this in mind, I have decided to create this post to help designers and their clients alike understand the do’s and don’ts of rebranding, and provide examples of successful (and not so successful) rebrands throughout history. This aptly defines a true rebrand, because a rebrand involves so much more than a logo redesign. A rebrand involves emotion. A rebrand changes the way your audience views your company. A rebrand is no easy task, many before have tried and failed. Most can attribute this failure to a lack of research and understanding of their audience. A rebrand should truly be about 95% research and ideas and 5% actual execution. Has something in your industry drastically changed? Are you losing business because your branding (and your company) can’t seem to keep you with your competition? While your business practices and customers should truly come first, a look at your branding may be a good idea at this point. If you are merging with another corporation or you are acquiring another company, then you will most likely need a cohesive, unifying new look. This is probably a good time for a rebrand. Okay, you aren’t really old, but that is how your audience perceives you. If you are now a groundbreaking, cutting edge company, your branding should reflect that. If it doesn’t, it’s time to rethink your look. Let’s imagine that I own a company that sells paper. Sounds exciting, doesn’t it?! Anyway, let’s say that all of my branding says “Bridget’s Paper”. Great! Well, what if Bridget’s Paper wants to eventually sell paper clips? And then staplers? And then notepads? And then pencils? We wouldn’t rebrand it as “Bridget’s Paper Clips, Staplers, Notepads and Pencils, now would we? We’d most likely rebrand as something that gives us lots of room to grow, perhaps “Bridget’s Office Supplies” or something similar. If your immediate business plan involves branching into new products or services and your current brand restricts that, consider a rebrand. When I look at your branding, I should be able to understand what you do, who you are, and why you do it. If a piece of your brand – your company name, logo, images, tagline, written content, print media, etc – doesn’t fall in line with this, it may be time to start thinking about who you are as a company and how you want to be perceived. Often, with new management comes a new set of egos. The same can be said of new designers. You may be tempted to leave an imprint on your company, but you probably shouldn’t start with the logo. If you are genuinely planning to change the business and have a plan on how to do this, then a rebrand may be necessary. But on the whole, if your current logo falls in line with what the new management is already doing, you probably shouldn’t change it. Bad Reason 2: But I’m Sick of My Logo! Too bad. Rebranding is something that takes time- and lots of it. Don’t rebrand every 8 weeks just because your pseudo-schizophrenic tendencies point you in that direction. If your only reason for changing your branding is because you don’t love it at the moment, give it some time. This one is my personal favorite. Some companies tend to think that they can just change their branding and all of their problems will be solved. My friends, that is like putting gift wrap on a time bomb . It may look nicer, but underneath it all is a big problem. Solve your internal problems and then decide if you truly need to rebrand. 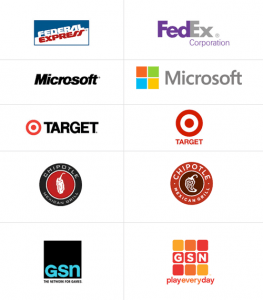 Is your logo easily identified? Yes? And people like it? Yes? Then what are you even thinking? If you have a widely recognized and accepted brand, it is highly likely that your audience will not receive a rebrand well. Think of it like this, well done brands are like a set of grandparents. They have history, solid tradition, and meaning to their loved ones. How would you feel if one day someone traded your bingo-playing, ugly-sweater-wearing nana for a hip, indie-music-loving, protein-shake-swigging replacement? You probably wouldn’t take too kindly to it. Successful branding takes on the role of a person in our lives. Before replacing that person, consider the consequences. This should really be reasons 5 through infinity. I have news for everyone out their looking for a good rebrand: it is not cheap. While you may argue, “Well, the Nike logo was only $35! And Coca-Cola’s brand mark was free!” To my argumentative readers, yes, you are correct, these are the recorded prices for these iconic logos. But that is the price for the logo, not the branding. And branding is much more than a logo . Well-done branding can cost millions of dollars, and take years to become fully embraced. Before embarking on your rebrand, think for a second, how much do I really want to invest in a new brand name? If your answer is anything but “whatever it takes,” reconsider. If you don’t have the resources (and by resources I don’t just mean money, I mean time, patience, staff, etc.) to do it right, you are probably better off not doing it at all. Please note that although I have only included the logos here to demonstrate the rebrands of these corporations, a rebrand is much more than a logo. As I mentioned before, I was absolutely inspired by the recent American Airlines rebrand. While I was, of course, attached to the old American Airlines brand, I do appreciate the new direction that the company is heading toward. The new American Airlines logo represents an America that is much different from the America of 40 years ago. The original logo, with the downward-facing eagle demonstrates an aggressive, attacking eagle. The new logo represents an eagle that moves forward, soaring through the sky. Most successful logos have more than one interpretation. The American Airlines logo certainly doesn’t fall short here. It is a wing, it is an eagle, it has motion- there are so many meanings behind the rebrand that evoke emotion in the audience. This is exactly what a rebrand should be- a brand keeping up with the changing nature of its audience. A rebrand isn’t selfish. It doesn’t arise because of an ego, it occurs because a company changes. I, for one, am very happy with the American Airlines rebrand. If their goal is to represent everything an American is, then our qualities are well demonstrated in this rebrand. As I mentioned earlier, rebranding is no easy task. It isn’t a simple, weekend project. A rebrand takes time, effort, patience, and research. 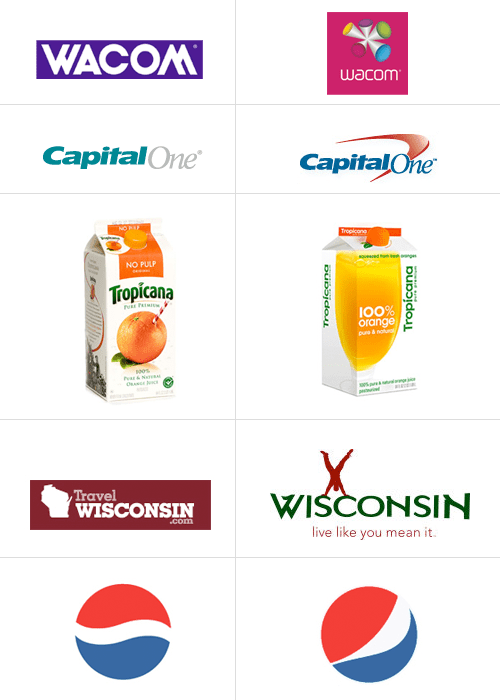 A rebrand certainly isn’t right for everyone, but can most definitely help some companies. Is your company in need of a rebrand? Contact us today for an initial, no obligation consultation. We can help!